In an effort to better organize my LIFE, along with everything that comes with being maker. Fabric, patterns, notions etc. I started using Evernote. I love it! I’m currently in the process of organizing all of my fabric and patterns, and I’m using Evernote for almost everything … my grocery lists … daily tasks … blog ideas. Most importantly, this past year I used it for my Christmas list. I start my Christmas gift-giving list around May or June. That way I can tick through the list one by one. And I can avoid shopping when the stores are their busiest. (And human beings can be mean, sad, and unhappy. Just saying.) 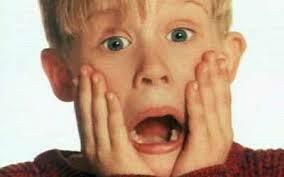 When I shop early, I avoid all of that frustration, and I’m still a happy, happy camper!! This year I hit a bit of a snafoo … somehow when I was transitioning my Gift Giving list from paper to Evernote, I left off a gift! What made this even more tragic … I realized this the Saturday before Christmas. I needed a gift. But I was not shopping. I wasn’t going in or near anyone’s mall. The gift was for my aunt (my Dad’s sister) and she travels a fair amount. I thought maybe I could make her a bag. This is actually tough for me because I’m not a fast sewer. I can’t bust out a project in a day … this is a superhero maker skill I do not posses. I watch in amazement as the sewists on Instagram & Facebook that start a project on Saturday morning and a few hours later they have a finished garment. I admire it, but I 100% accept the fact that I am not that girl, and that’s totally okay. What I had on hand … the pattern. Last year I purchased Amy Butler’s Style Stitches after I made the Beautiful Belle bag for my sister’s birthday. The Belle was my first bag, and I learned a few things. I never posted it to the blog because I honestly forgot to take pictures before I dropped it in the mail. I felt confident with roughly 4 days before Christmas I could get it done. So my aunt was getting a bag. I purchased this book for two reasons. 1. The patterns. 2. It’s beautiful. The patterns range from easy to advanced, and there is a nice variety of sizes and shapes. The photography is beautiful. 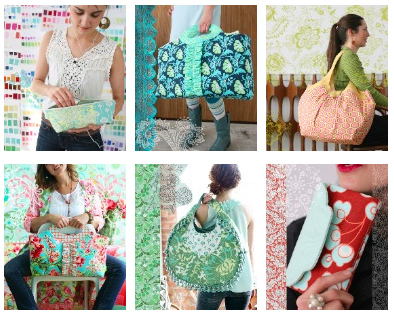 Amy (as with everything I’ve seen from her) does a wonderful job of making you want to make her bags. The colors are bright and the prints are inspiring. The book is wire bound, which makes it very easy to work with on your sewing table. The pattern pieces are in an envelope included in the book and they are well labeled. I was very happy to see that Amy recommends specific types of interfacing to use for projects. This was a great exercise for me because it exposed me to a whole other world of interfacings. Yes, I knew to look at the type of interfacing. But I was used to picking up any old Pellon that said light, medium, or heavy weight. This was my first exposure to a woven interfacing. An interfacing that looks like a woven fabric. I loved it. Lesson learned … don’t buy the cheapest interfacing on the rack! My concern with the book was there aren’t many pictures with the pattern instructions. Mostly everything I’ve sewn … has been garments. And I rely heavily on the pictures to assist me with construction. But that wasn’t a roadblock. Throughout the construction process, I was so involved in what I was doing, I didn’t miss the pictures. The instructions are thorough. My one take away is that I sometimes skipped ahead to put like tasks together and do them at the same time. For example …. interfacing all pieces at the same time. In doing that I missed a few details, and would have saved time if I wouldn’t have done that. For my next make, I’ll follow the instructions, in the order they are given. Off I went to Hancock the Saturday before Christmas, looking for a beautiful blue print. Blue is my Aunt’s favorite color. Really two prints that would look amazing together. And nothing was really working for me. One problem was me, I’m not a great mixing prints matcher over all, so everything I paired together looked a hot mess! 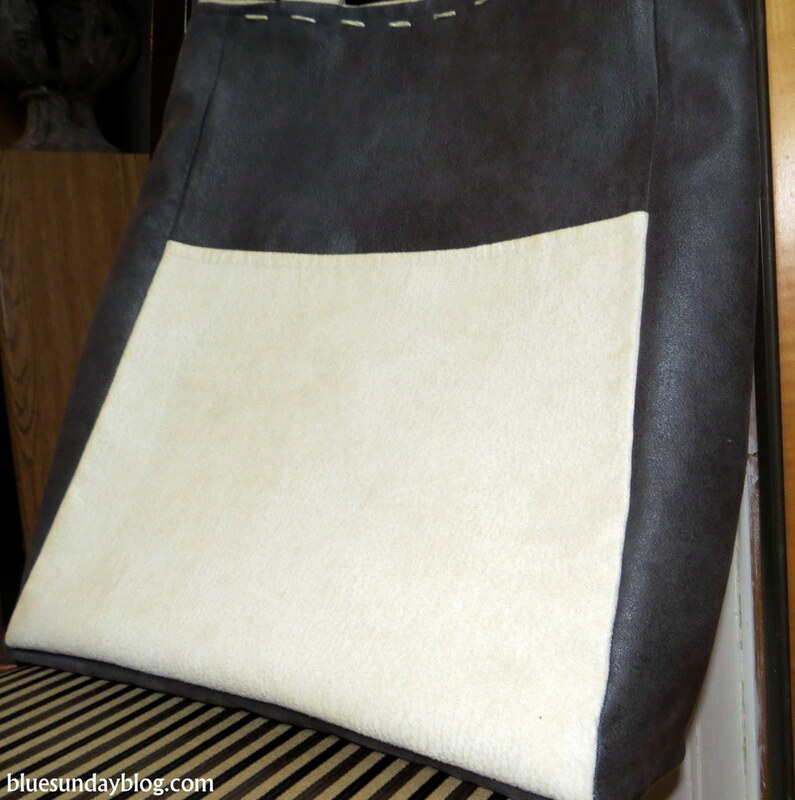 I finally came across a faux suede in chocolate brown and ivory and it worked perfectly. Let me apologize ahead of time before we get too deep into photos. These were taken Christmas Eve at about 9 pm at my Mom’s house in Louisiana. The blogger side of me knows the bag should have been stuffed. And I should have listened to my Mom when she take take the pictures someplace else. (Yes, you were right Mom.) But my crazy OCD side was thinking it’s Christmas Eve and I still have a gift that’s not wrapped and under the tree!! 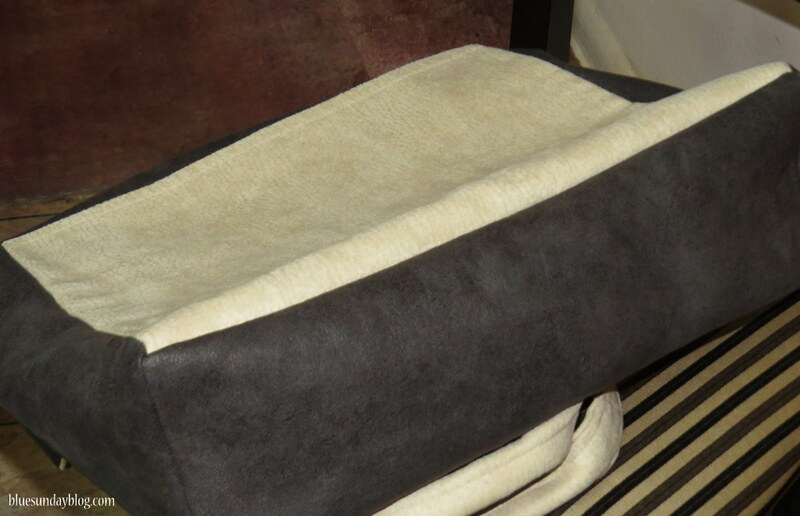 I’ve never worked with a faux suede before. And I was taking a risk working with it for a gift on a deadline … but hey … worst case scenario … I could buy her a gift card. It wasn’t difficult to handle. A little thicker than I wanted … I really struggled getting those handles to mold like it needed them to. But where there is a will there’s a way! 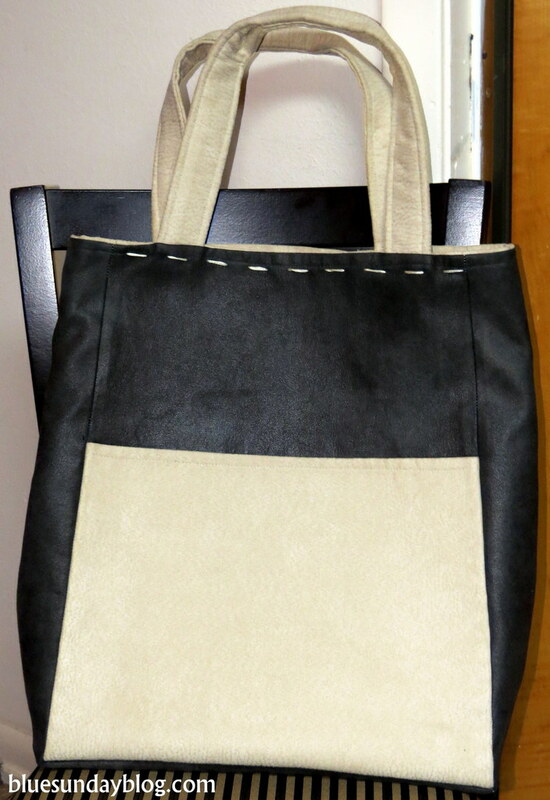 I elected to make the everyday reversible tote. This is a big bag. A really big bag. You can use it for a gym bag. Or, if you’re spending a day at an outdoor shopping center and need something to hold your purchases. I don’t have kiddos, but I know they have a lot of stuff. So if you’re a Mommy or Daddy, this could work for you as well. Laptops or tablets fit with plenty of room to spare. My 15″ fit perfectly. 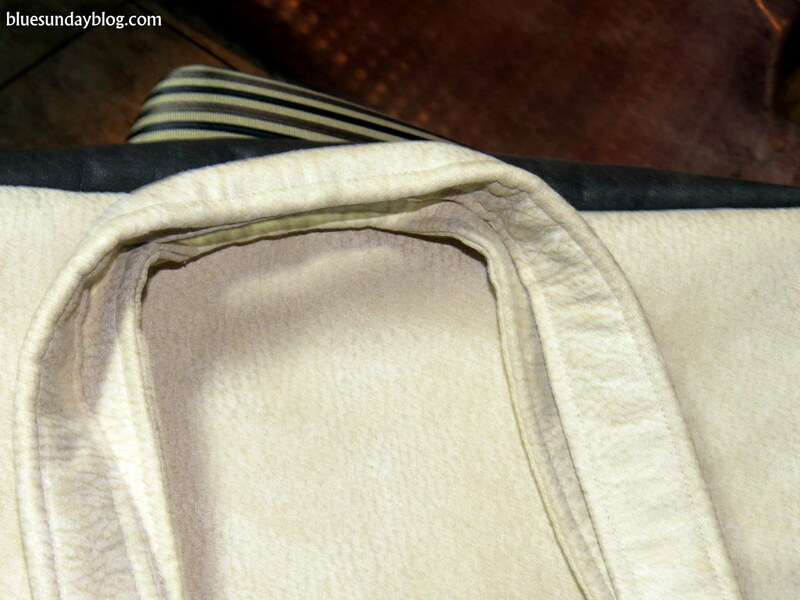 View of the bottom of the bag. There are very generous pockets on the front and back of the bag. The pockets on the front and back are large as well. Any tablet in it’s protective case would fit into these side pockets. It’s made to reverse out to the color of the pockets. I really don’t think my Aunt would ever do that because of the light color. But she has that option if she wants to. The handles are where I struggled with construction. In my opinion, I struggled because of the thickness of the home dec fabric. It was at that point I wished I would have at least looked at the quilting cotton options. But … I wanted the bag to be substantial, so I stayed in the home deck area. With a lot of love, and a whole lot of molding, they finally took shape. 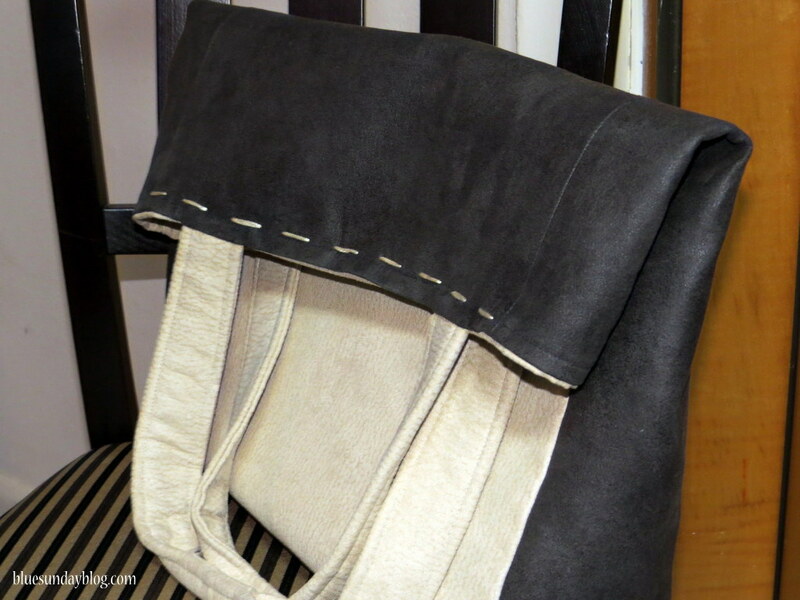 To ensure the handles were as sturdy as possible, I double stitched where they attach to the bag body, and at the handles. Once the bag was complete, it looked a little plain to me. This was probably because I was comparing it to the brightly colored mixed print sample in the book … that’s what I’m thinking after the fact. So I decided to “embellish” the top with embroidery floss right at the seam line on both sides. I think this is okay, and provides a little interest. There is probably a better design choice available, but I’m too new to know about it. And it was Christmas Eve. LOL! Overall, this was a fun project that made a great gift. My aunt loved it and she’s going to get it embroidered. Probably something her niece should have done prior to gifting it! But at least it wasn’t a gift card, right? LOL! 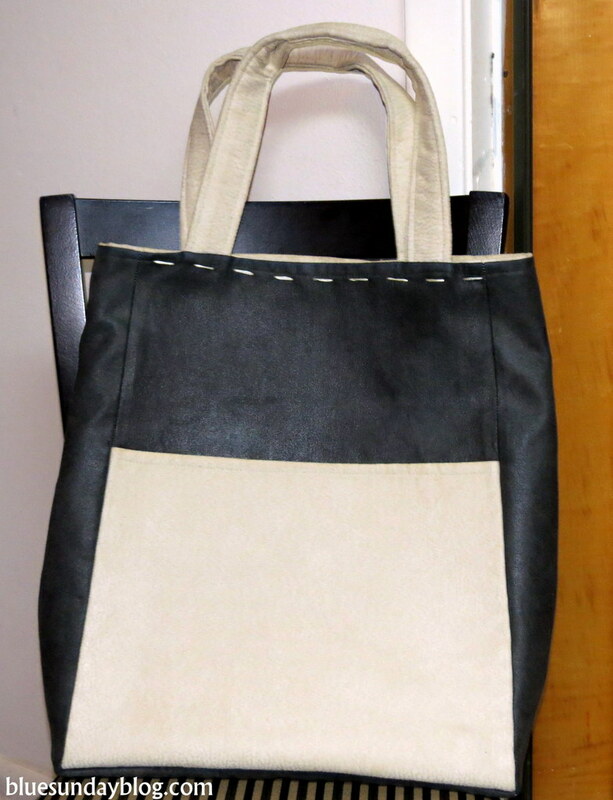 One more thing, if I would have had the time, I would have made one or two bags from the Origami Bag Set (pattern & instructions also included in the book). That would have made this a perfect gift and the bag is large enough to hold a bag or two for organizational purposes. 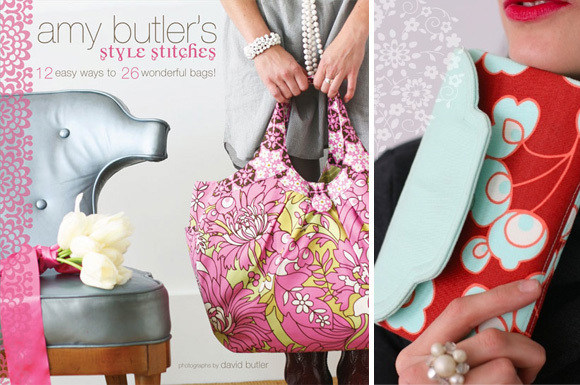 If you’re looking for handcrafted items to gift, or if you’re looking at something outside of garment sewing, the Amy Butler book is a great option. What about you? Do you make or create gifts for others? Do share!! What a great present. I like your thinking with planning ahead. I made lots of Christmas presents this year and my Christmas was so much less stressful! I think everyone preffered their gift too! Maybe they were just too polite…however, i am aiming for the same next year. I like your idea of bags though and starting early would mean a beautiful present ! Hi Bianca! Thanks so much for the link. I will definitely use it!! !